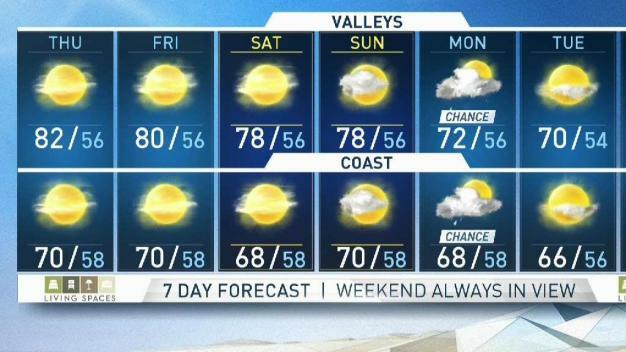 Several cities hit 90 degrees, but cooler temperatures are expected for the weekend. 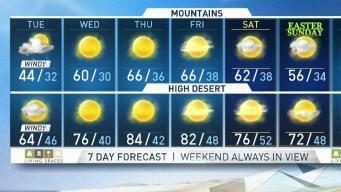 Anthony Yanez has your First Alert forecast for Thursday, April 18, 2019. 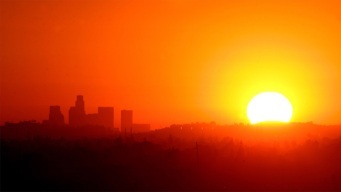 Southern California is in for a heat wave expected to last through most of the week. Some areas will see temperatures climb to well above 100 degrees. 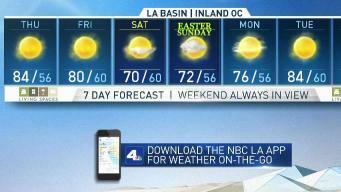 Hotter temperatures are expected Thursday with a similar feel on Good Friday. 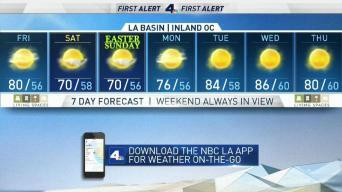 Anthony Yanez has your First Alert forecast for Wednesday, April 17. 2019. Temperatures are climbing, giving us a summer like feel. 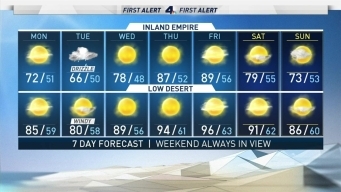 Anthony Yanez has your First Alert forecast for Tuesday, April 16, 2019. 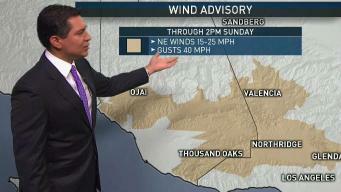 Light rain moves in Tuesday along with strong winds. 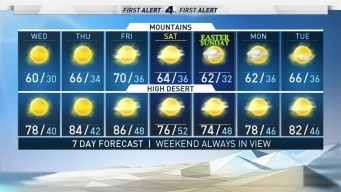 Anthony Yanez has your First Alert forecast for Monday, April 15, 2019. 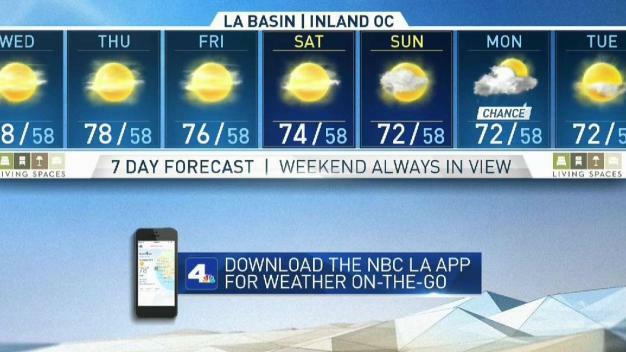 The marine layer will eventually roll back, leaving us with mild temperatures. 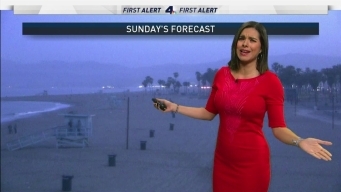 Shanna Mendiola has the forecast for Monday April 15, 2019.